In this lesson, we will learn how to compare between decimals up to thousandths using three different forms: word, standard, and expanded. 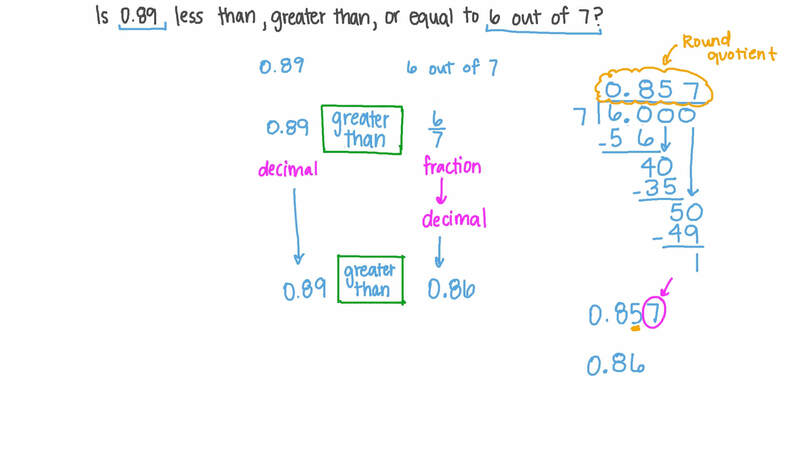 Is 0.89 less than, greater than, or equal to 6 out of 7? Arrange 0 . 3 1 8 3 , 3 1 . 8 3 , 3 1 8 . 3 , 3 . 1 8 3 in ascending order. Complete 3 . 6 1 0 3 + 0 . 6 + 0 . 0 1 using < , = , or > . 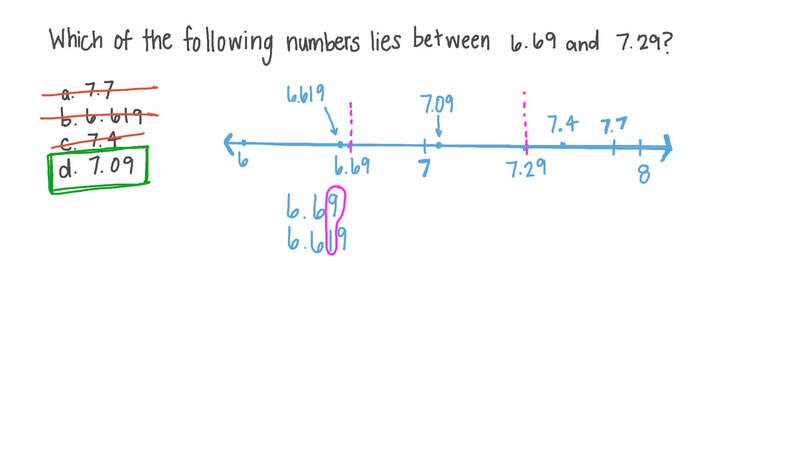 Which pair of numbers from 76.02, 7.622, 76.20, 76.020, 76.22, and 7.620 are equal? In the 2004 summer Olympics, Carly Patterson had a total score of 38.387 in the all-around gymnastics event. Svetlana Khorkina had a total score of 38.211 in the same event. Who had a higher score in this event? Which of the numbers on these cards have their last digit in the hundredth place? Which of these numbers have their last digit in the thousandths place? Which of the following numbers lies between 6.69 and 7.29? Which of the following numbers is closest to zero: 1.04, 0.533, 0.556 or 0.53? Which of the following is greater than 0.307? Which of the following does not have the same value as the others? Complete 8 3 . 8 6 8 3 . 8 6 0 using < , = , or > . Arrange the following set of ratios in ascending order: 0.13, 1 1 0 , 0.12.